The Queen joined The Prince of Wales on a visit to a Centre for young people in Kennington, London to mark the 40th anniversary of The Prince's Trust. 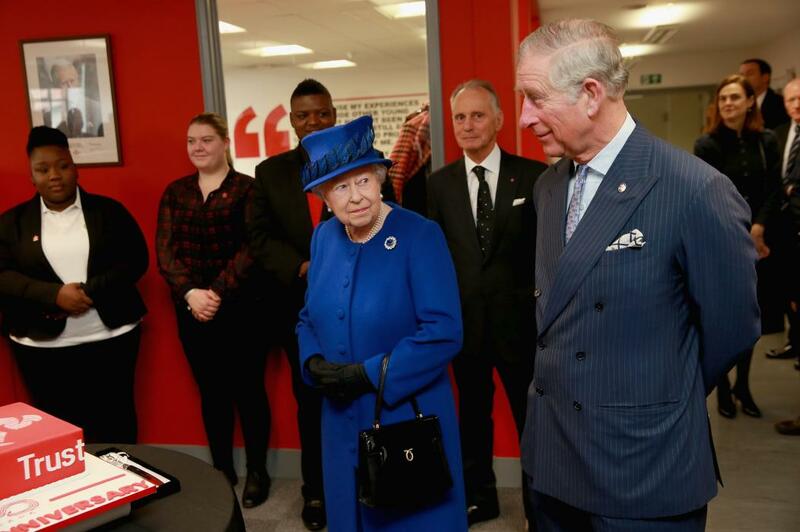 Her Majesty and His Royal Highness visited the centre to see the impact The Prince's Trust has on young people and hear about the six programmes run by the Trust to help disadvantaged young people aged 13 to 30 get into education and employment. During the visit, The Queen and The Prince of Wales met Trust staff based at the Kennington facility and met past and present young people on the Trust's programmes. The Royal Party also viewed a showcase from young people who have successfully set up their own businesses and saw a workshop underway in the centre’s Digital Classroom. At the conclusion of the visit, The Queen and The Prince of Wales cut a celebratory cake to mark the 40th anniversary of The Prince's Trust. The Prince's Trust has helped more than 825,000 young people in its 40 year history and supports 100 more each working day.